This three-day instructor-led course is about writing TSQL queries for the purpose of database reporting, analysis, and business intelligence. 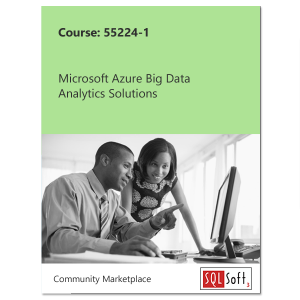 Specifically, this course presents TSQL within the context of data analysis – in other words, making meaning from the data rather than transaction-oriented data-tier application development. The course starts with a brief discussion of levels of measurement and quantitative research methodology, and integrates these concepts into each TSQL topic presented. The goal is to provide a consistent, direct, and purposeful learning path from RDBMS data retrieval through analytical tools such as SQL Server Reporting Services, PowerBI, Excel, R, SAS, and SPSS. This three-day instructor led course is about writing TSQL queries for the purpose of database reporting, analysis, and business intelligence. Specifically, this course presents TSQL within the context of data analysis – in other words, making meaning from the data rather than transaction-oriented data-tier application development. The course starts with a brief discussion of levels of measurement and quantitative research methodogy, and integrates these concepts into each TSQL topic presented. 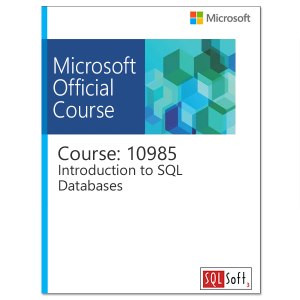 The goal is to provide a consistent, direct, and purposeful learning path for RDBMS data retrieval for use in analytical tools such as SQL Server Reporting Services, PowerBI, R, and Excel. This course is intended for information workers and data science professionals who seek to use database reporting and analysis tools such as Microsoft SQL Server Reporting Services, Excel, Power BI, R, SAS and other business intelligence tools, and wish to use TSQL queries to efficiently retrieve data sets from Microsoft SQL Server relational databases for use with these tools. Identify independent and dependent variables and measurement levels in their own analytical work scenarios. Identify variables of interest in relational database tables. Choose a data aggregation level and data set design appropriate for the intended analysis and tool. Use TSQL SELECT queries to produce ready-to-use data sets for analysis in tools such as PowerBI, SQL Server Reporting Services, Excel, R, SAS, SPSS, and others. Create stored procedures, views, and functions to modularize data retrieval code. Context knowledge of data analysis and business intelligence scenarios. For example, an understanding of a work-related business intelligence project or need. Basic knowledge of the Windows operating system and its core functionality, including file system navigation. Basic understanding of the purpose of relational database management systems such as SQL Server.